Why William C. Earhart Co. Inc. If you're like most people, you find the administration of employee benefit plans to be complex, time consuming, expensive, and often less than satisfactory. Your needs exactly reflect the expertise of the William C. Earhart Company. We've been serving clients, large and small, for more than forty years. Our experience covers all aspects of health and welfare and pension plan administration - single employer as well as multi-employer plans, from small plans with fewer than 20 participants to those approaching 100,000 participants. In-place security systems provide both physical and cyber security. Only those persons assigned to your account, and with knowledge of your client code, can access your files. Files are backed up on a daily basis using the latest technology available and securely stored off-site. The William C. Earhart Company's counsel and services are available to you through every phase of employee benefit plan management from concept to implementation and administration. 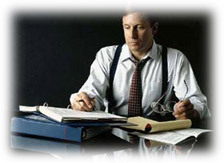 Our services can run from total administration t o record keeping only. Our staff administers all types of scheduled and unscheduled medical, dental, vision, audio, short term disability and prescription drug plans. In addition, we service plans requiring pre-admission screening, second surgical opinion, outpatient surgery and other cost containment options, plus the common choices between or among indemnity carriers and Health Maintenance Organizations as well as Preferred Provider Organizations.